One of the great things about working at the Little Angel is being around so many people from the original company, and hearing so many stories from down the years. Earlier this year David went on a short walk around the block with legendary puppeteer Ronnie Le Drew, who has been a vital member of the company since the very early days. Rather than looking at Ronnie’s own fascinating story, we talked about the changes seen in Islington during that period: the shops, businesses and theatres that have come and gone, and how the area went from being down at heel to the cafe and shopping centre we all know today. You can view an interactive map of the journey by clicking here. David: We’re in the church gardens at St. Mary’s (website here) where everything started. Ronnie: Yes, because the church was hit in the war by a bomb. Unfortunately most of the masonry fell onto the theatre, which was then the Henry Ansell Temperance Hall. People used to go to take the pledge of drinking no alcohol. David: It was called the Islington Working Men’s Total Abstinence Society. Ronnie: Sounds fun! They had meetings, and lots of tea! Now when John and Lyndie Wright arrived it was derelict. There was no roof, and trees were growing inside. 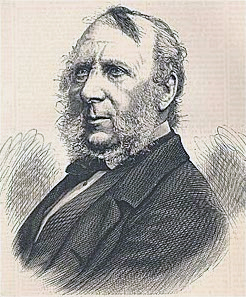 David: Lyndie told me that Charles Dickens’ illustrator came to meetings at this hall. David: Yes, apparently he had done an illustration of this hall. 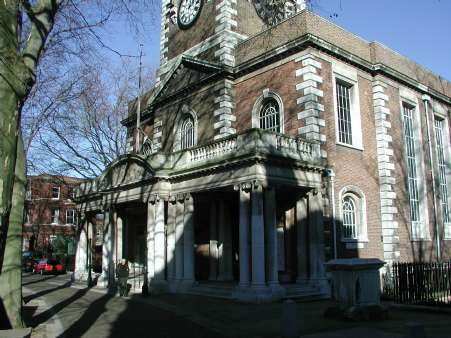 Dickens went to one in Pentonville, but we don’t know whether he ever visited here. Ronnie: I didn’t know that, that’s fantastic! Anyway, the hall was literally a shell 15 years after the war ended, although a lot of effort had been put into rebuilding the church almost straight after the war. Most of the church is modern, although the steeple and pillars at the front are the originals. David: And we get our church bells on the hour. Ronnie: Camden Passage (website here) used to be a real old market, especially on a Saturday morning. It was like Portobello – there were shops and galleries, the Japanese gallery (website here) is still there. There’s a silversmiths which has been there since the year dot. The Mall was a tramshed that was empty and that expanded into the market, but even that’s changed again. There has always been a restaurant, it’s Fredericks ( web here ) now. I’ve never been to Fredericks, I’ve only pressed my face to the window! David: …and died! I wonder if he ever came to the theatre? Ronnie: If he did he came in disguise. I don’t know if it would be his sort of thing! He might have liked the atmosphere. Who knows? I always loved the way he defaced all those library books, (info here) which at the time was a scandal, and now there’s exhibitions showing it as art. How times change. David: Which makes you think of the Banksy on the Essex Road (watch a video here). Once it was seen as graffiti, and now it’s covered in plastic to protect it. Ronnie: I love the Banksy art- it’s the children saluting the supermarket bag! David: Let’s head towards Upper Street. These days it’s full of restaurants and lots of expensive clothes and shoes. Was it always like that? Ronnie: No, the post office is almost the only thing that remains from then. That shop (After Noah web here) was a wonderful hardware shop. We had practical shops then. 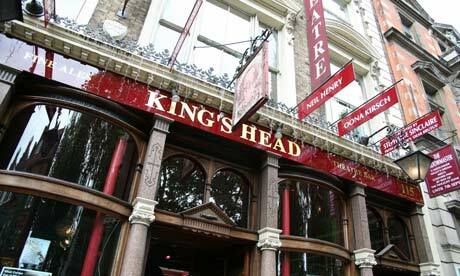 The Kings Head (web here) was there, but it wasn’t a theatre pub. I didn’t frequent it very much, seeing as how I was only very young when I first arrived. I could only look in through the windows then! Screen on the Green (web here) was the Rex cinema, and it was a lovely old fleapit. Wonderful Humphrey Bogart all-nighters. ‘Casablanca’, ‘Maltese Falcon’. Monroe all nighters. You’d fall asleep! David: Did this feel different from the West End then? Ronnie: Yes, there was no Victoria Line until the late 60s, just the Angel. 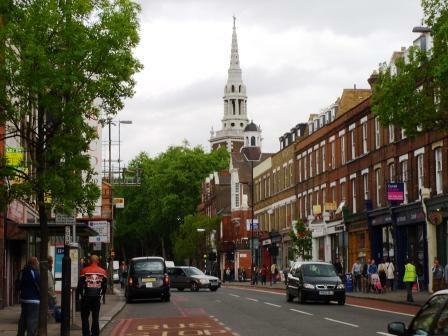 Islington was a real working class area, but it was starting to get a mixture of people. I first worked at the Little Angel in 1963, and the Angel station wasn’t where it is now. You’d come out round the corner on the City Road. There was an old theatre there called the Grand (info here), with a lovely facade. I think it turned into a car park. Then you’d see these Georgian houses which were started to get taken up by city folk. There were still lots of tenements and some of the landlords were a bit devious! David: What’s interesting at this road has so many theatres. 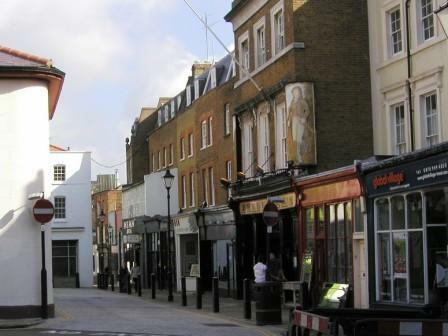 At one end you have Hen and Chickens theatre (web here) , then the Almeida ( web here ) , the Little Angel, the Kings Head, the old Collins Music Hall (web here), the cinema, the Old Red Lion (web here) and beyond that Sadlers Wells ( web here ). Ronnie: But it wasn’t like that back then. The Almeida hadn’t opened, the pub theatres weren’t there. 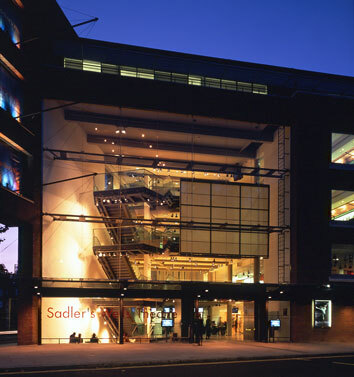 Sadlers Wells was though. The old building they tore down was the one that I used to go to. John Wright was very interested in dance and movement, and Sadlers Wells was the home of ballet and opera, so I’d go there. Wonderful characters! Princess Margaret used to be there a lot. I’d creep up to the dress circle, they’d leave the door to the private bar open, and you could see her there with a long cigarette and a nice gin and tonic. Before she was married! The people that came were so flamboyant. Old Ballet Russe dancers of a certain age. David: We’re just across the road from Almeida Street now. Ronnie: I had a room there at number 11. The shop there that’s closed, Threshers, was Becks Carnival Novelty Shop. It sold old jokes and cards and circus things. I don’t know how it existed! You had to know where it was. Just behind was this funny old hall, Becks owned it and used it for storage. It used to be a lecture hall, and now it’s the Almeida theatre. David: Beyond is the old sorting office. Ronnie: I remember it very well, because my room backed onto the depot and you’d hear it all night. It’s vast! David: Did you know they’re converting it into luxury apartments and a shopping centre, and removing the post office for a grand entrance? Ronnie: More shops? Why, I ask? Oh no! We’ve got the N1 Centre and so many shops already. Why not affordable apartments for people that need them? David: Everything keeps changing, doesn’t it? Tell us more about the old theatres round here. Ronnie: We’ve mentioned the Collins Music Hall which was popular, but there was a fire in 1957. It was fading away by the mid 50s, TV was getting popular. They had occasional strip tease shows, it wasn’t so high class. After the fire the Little Angel had some things from the music hall, we had their old gas exit lights, which had little night lights in. You wouldn’t be allowed to today. It was one of my early jobs to light them before the show, and blow them out the second the audience left to save the wax. And it used to drip on my head! And the original seats of the theatre were from there. We had old dye scoops too. People smoked in the foyer, and used the scoops as ashtrays. We don’t have smoking now, do we? David: We don’t have dye scoops! Ronnie: It was from an old feather factory in Gaskin Street, where they dyed feathers for cushions. We used to do hand pressed programmes, we had an Adana printing machine (info here). Lyndie would do the woodcuts, and John would do the typesetting. David: It’s that lovely old Victorian music hall style. Ronnie: Yes. It’s really boring though. You had do it back to front in a mirror, and lay them out on tables to dry. We’d get sixpence for them! End of Part One. You can read Part Two of A Trip Down Memory Lane next week here on the Little Angel Theatre’s blog. You can view the route that Ronnie and David took on our interactive map. Enter your email address to subscribe to the Little Angel Blog and receive notifications of new posts by email.